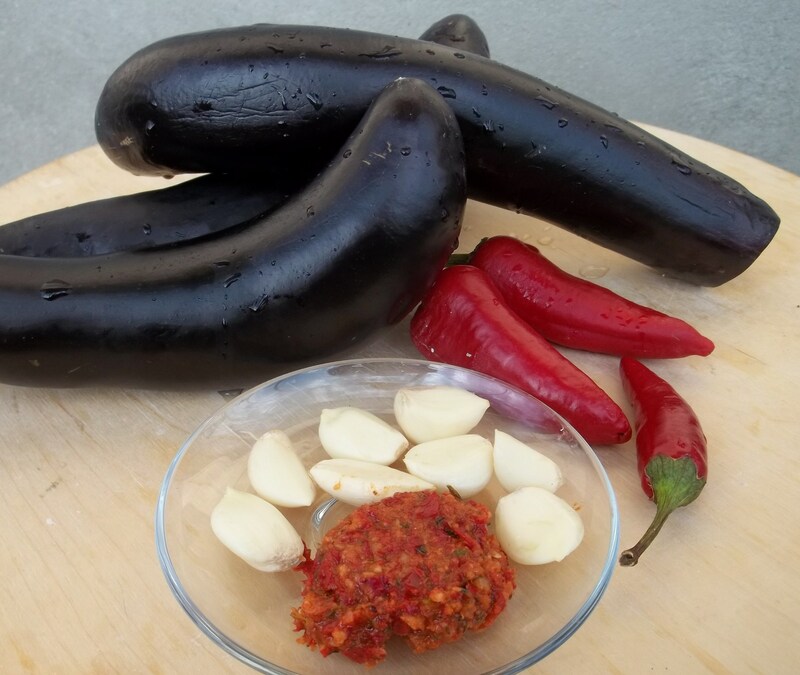 In this family recipe we show how to make eggplant with hot peppers, garlic and ajika. Ajika (Georgian: აჯიკა) is a hot, spicy paste used to flavor meat, fish and vegetable dishes mainly in Samegrelo and Abkhazia. It is made with hot red peppers, garlic, herbs and spices. 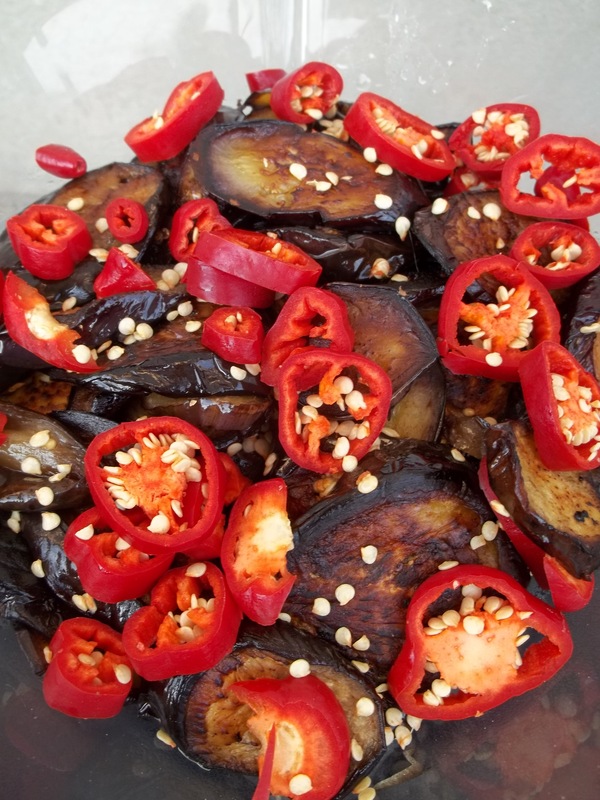 Ingredients: 3-4 eggplants, 3 hot red peppers, 8 cloves of garlic, 1 tbs of ajika with nuts (see link at the bottom of the article for a recipe), 6 tbs of oil and 200 ml of water. Preparation: Chop the eggplant into 1 cm slices. Add 6 tbs of oil to a pan and heat on a medium heat. 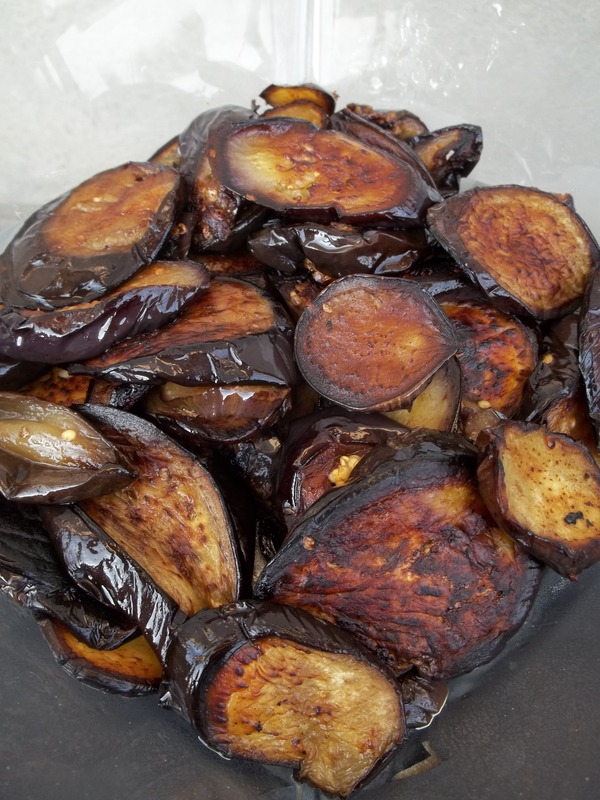 When the oil is hot, add the eggplant and fry for 20-25 minutes (turning halfway through). Whilst the eggplant is frying, chop the hot red peppers and crush the garlic cloves. 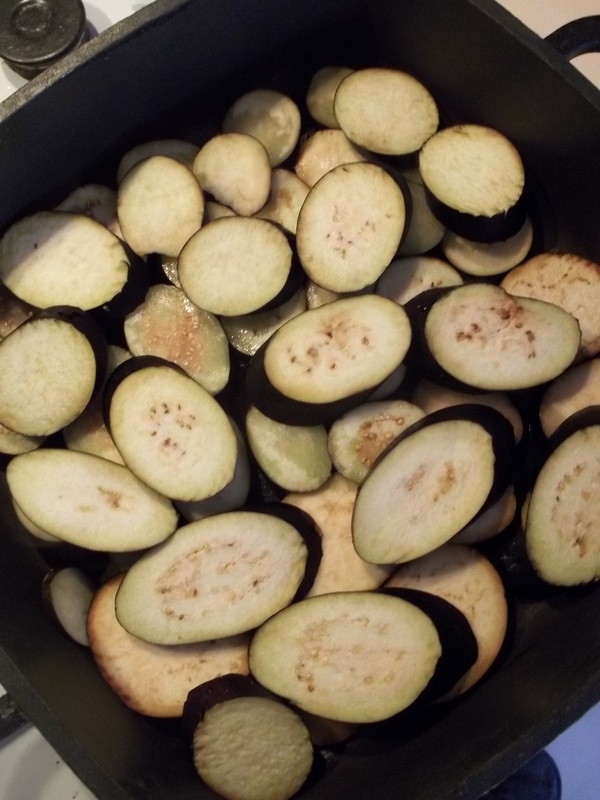 When the eggplant is fried, remove it from the pan and put into a bowl. Keep the oil in the pan. Immediately add the chopped peppers to the bowl of eggplant and carefully stir. 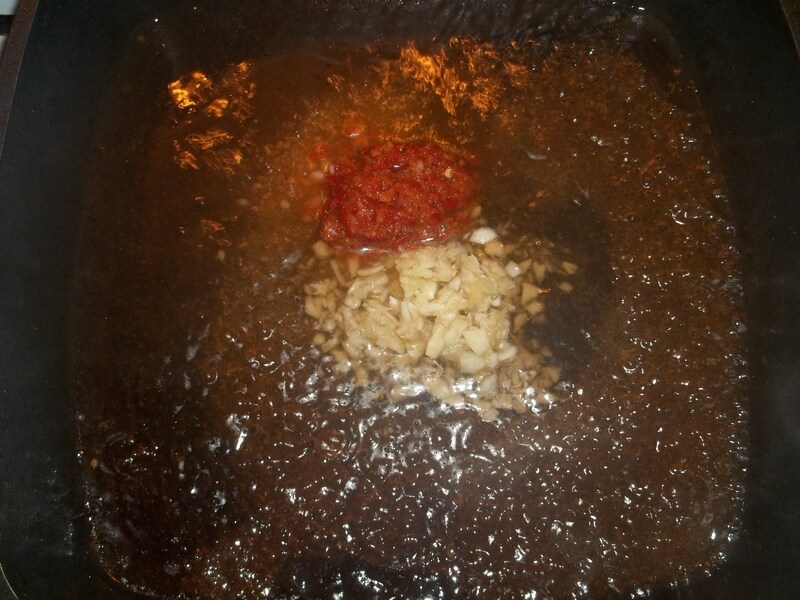 Add the crushed garlic cloves and 1 tbs of ajika to the pan, together with 200 ml of water. Stir. Use a high heat to bring to the boil and then turn off. Taste and add a little salt if necessary. 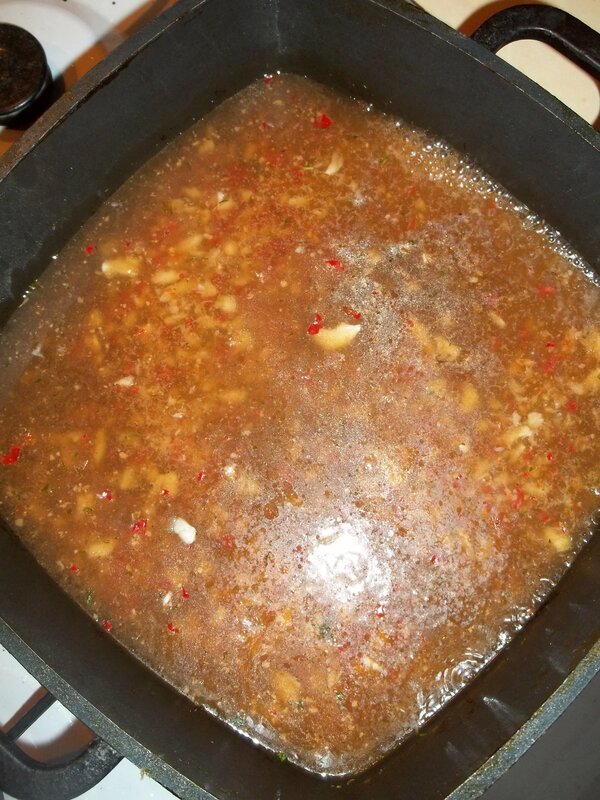 Serving: Pour the mixture onto the fried eggplant and peppers. Leave for 10 minutes and then serve. It is also delicious served cold. 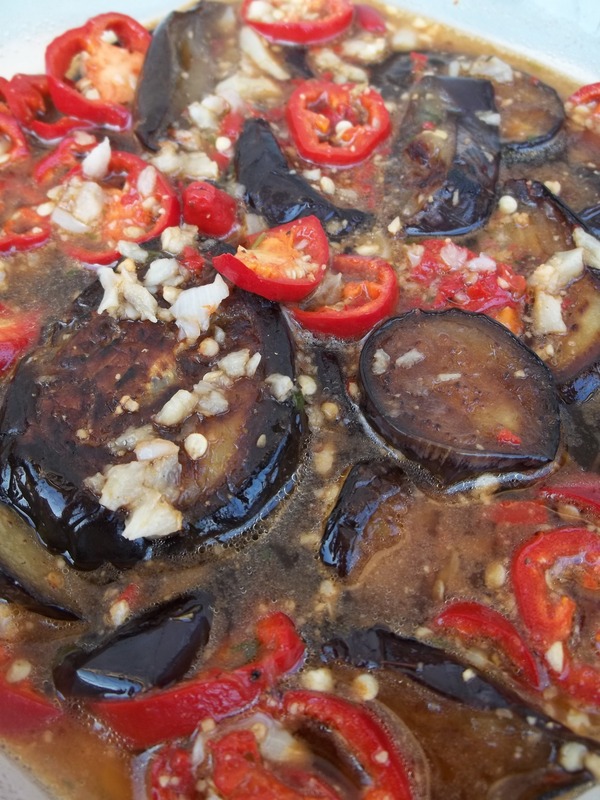 Enjoy your eggplant with hot peppers, garlic and ajika! Reading each of your recipes I am gathering that Georgian food is very spicy, hot spicy. It really sounds so flavorful and delicious. 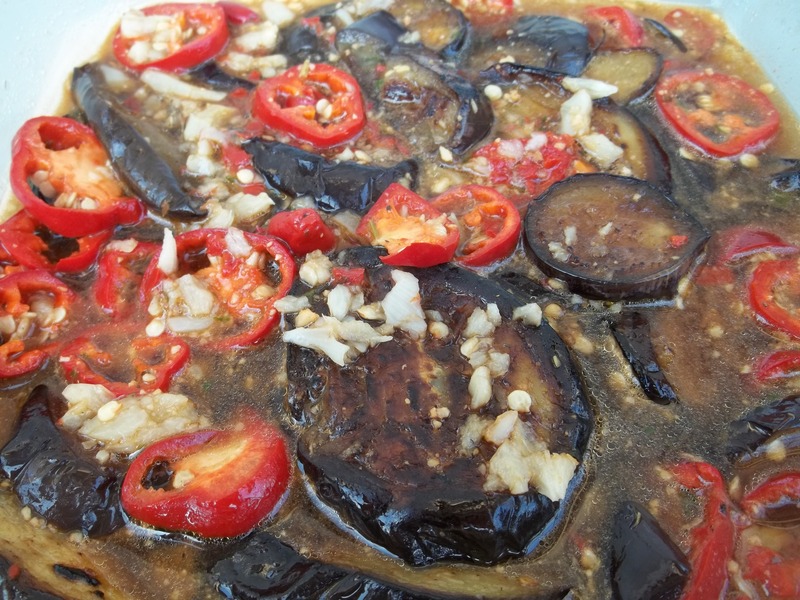 I love this eggplant dish.